The much-anticipated second installment of Desert X kicks off today in Greater Palm Springs! 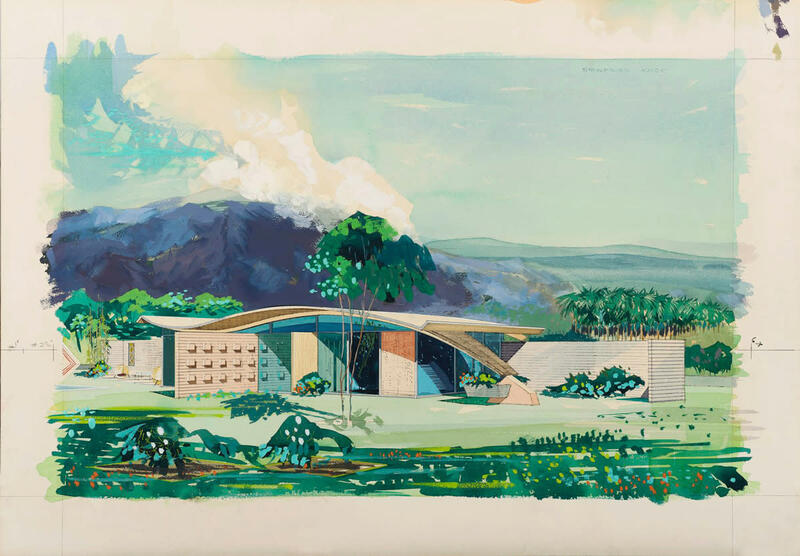 The recurring international contemporary art exhibition, curated by returning Artistic Director Neville Wakefield and 2019 co-curators Amanda Hunt and Matthew Schum, is free and open to the public from February 9 through April 21, 2019. 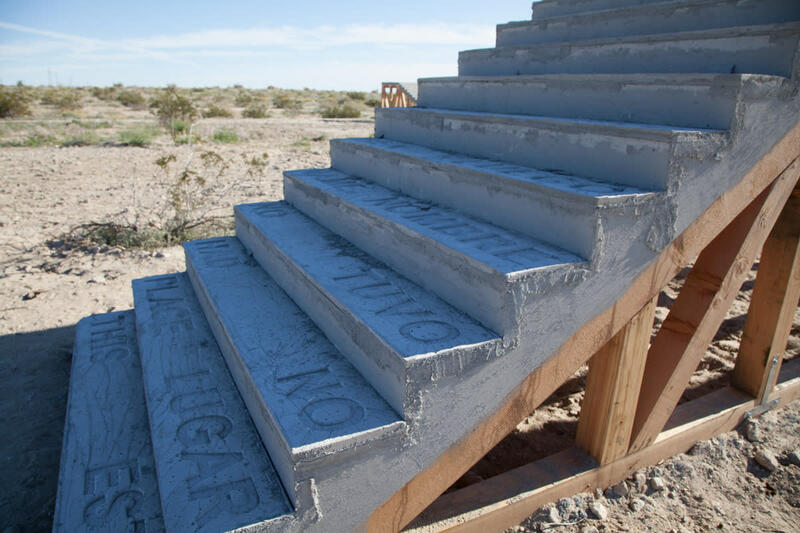 This year, site-specific art installations and performances throughout the Coachella Valley have been created by: Iván Argote, Steve Badgett & Chris Taylor, Nancy Baker Cahill, Cecilia Bengolea, Pia Camil, John Gerrard, Julian Hoeber, Jenny Holzer, Iman Issa, Mary Kelly, Armando Lerma, Eric N. Mack, Cinthia Marcelle, Postcommodity, Cara Romero, Sterling Ruby, Kathleen Ryan, Gary Simmons and Superflex. 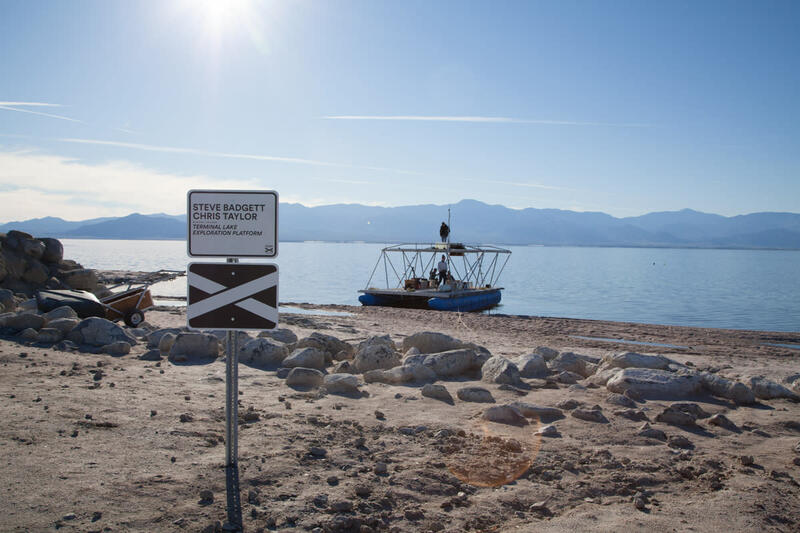 The installations span from the Salton Sea as the furthest east location, moving west with sites in Mecca, Coachella, Indio, Indian Wells, Palm Desert, Rancho Mirage, Palm Springs and Whitewater. We’ve broken things up into east valley and west valley Desert X guides to keep things manageable geographically (you can view the companion guide to the west installations here). Instructions: Walk toward the beach (left of the pond), open the 4th Wall app on your phone and tap the Desert X button. You will be directed to the drawing that appears, animated, over the sea. Download the free Desert X app (designed by a talented high school student from Palm Desert named Hunter Martin) to help navigate through the exhibitions. Nancy Cahill Baker&apos;s pieces require the use of the 4th Wall app on your phone or iPad. Be sure to download the 4th Wall app while you&apos;re somewhere with WiFi connectivity (due to the app&apos;s large size you must download it using WiFi rather than your cellular data). If you would prefer a guided experience, Desert X offers bus tours on Saturdays and Sundays -- get the details here. 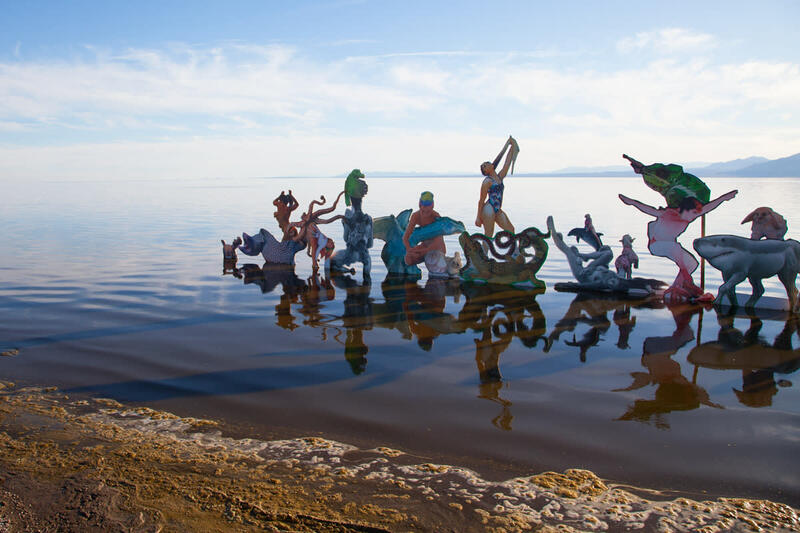 Be sure to take note of the installations and performances that have set hours and specific details necessary to gain access -- you&apos;ll want to review your itinerary and the pertinent details before heading to those locations. Some installation locations do not have exact addresses, so you will want to use the provided latitude and longitude coordinates (you can do a Google search of the coordinates and a map will pop up -- click on that to get directions). If the location of an installation is not immediately obvious when you arrive, look for the black and white signs with an "x" on them and follow those to the sites. 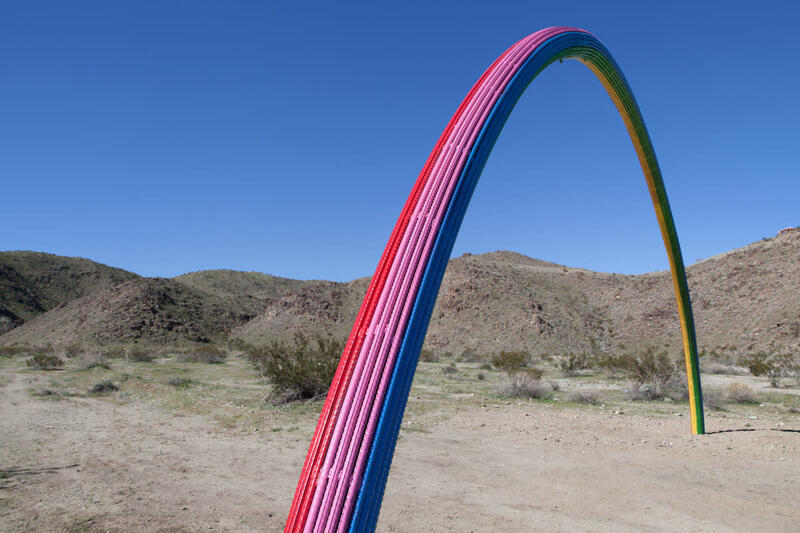 We’ve done the legwork and made our selections for the most Instagramable Desert X 2019 installations in the east side of the valley! 1. Eric Mack&apos;s Halter // Yards and yards of flowing Missoni fabrics blowing in the wind -- what&apos;s not to love! 2. 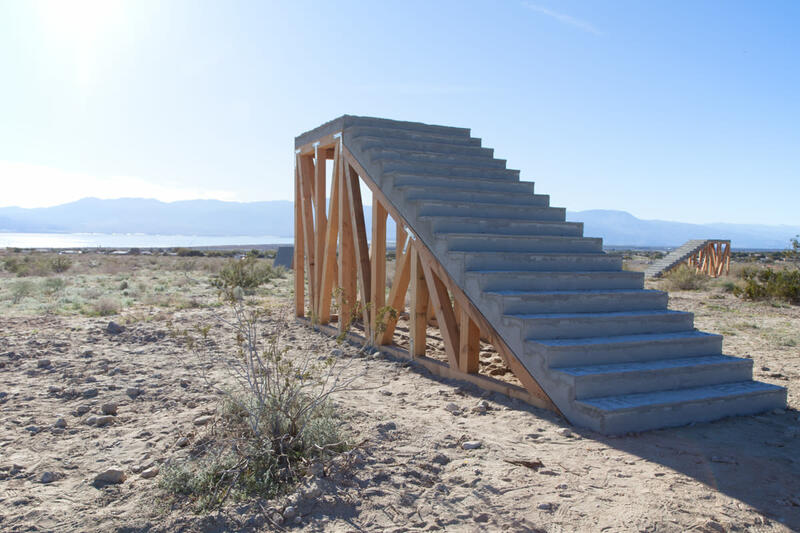 Iván Argote&apos;s A Point of View // Climb to the top of the stairs for an epic vantage point of the Salton Sea. 3. Pia Camil&apos;s Lover&apos;s Rainbow // Get up close for a detail shot of the multi-hued rebar. 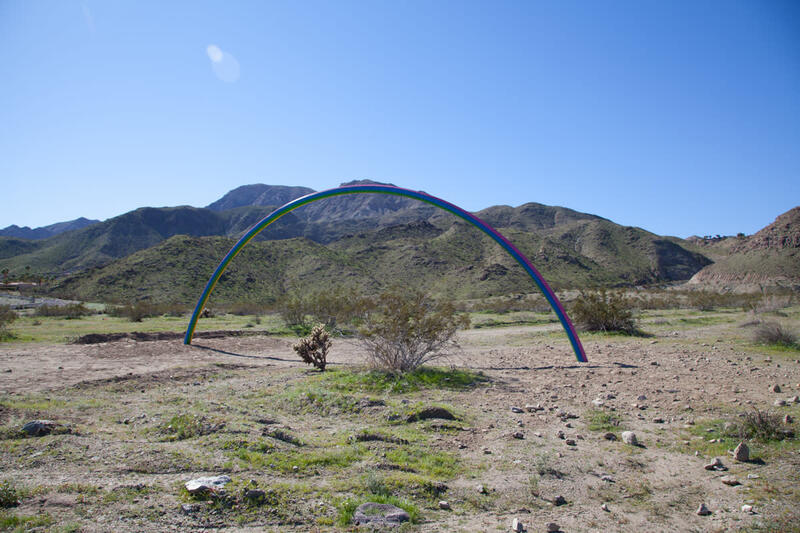 Be sure to also check out our guide to the west valley Desert X 2019 installations! Happy art-hunting!